HAYDN Symphony No. 49, La passione. MOZART Concerto for Flute and Harp. MOZART Symphony No. 41, Jupiter, K551. Alongside ‘The Queen of Harps’ Catrin Finch, this special concert showcases the talents of the Philharmonia’s Principal Flute, Samuel Coles, in Mozart’s Concerto for Flute and Harp. In the second half, the Jupiter Symphony, Mozart’s last symphony and his most complex and dazzling. Composed in his so called Olympian key of C Major, the music bursts into a world of trumpets, drums and sparkling melodies. Bernstein, Gershwin, Barber & Dvorak all at Watford Colosseum. The world famous Purcell School will be returning to Watford Colosseum on Sunday 18th October to perform an orchestral matinee at 3pm. The will perform an all-American programme: Bernstein Candide Overture, Gershwin An American in Paris, Barber Violin Concerto, and Dvorák Symphony No.9, New World. The Purcell School is a boarding and day school, based in Bushey, educating 170 talented musicians aged from 9 to 18. It is the oldest specialist music school in the UK and can boast many former pupils who are now well known musicians. Alumni include Oliver Knussen CBE, Catrin Finch and BBC Young Musician of the Year winners, Nicholas Daniel, Lara Melda and Martin James Bartlett. The Purcell School will be at Watford Colosseum on Sunday 18th Octoberat 3pm. This orchestral season at the Royal & Derngate, features six concerts by its Resident Orchestra, the Royal Philharmonic Orchestra, including a rare chance to hear the Orchestra conducted in Northampton by its Artistic Director Charles Dutoit, one of today’s most sought-after conductors. A performance of Holst’s The Planets will be accompanied by a new film created by NASA, in an unmissable, multi-sensory event. This autumn also sees the tenth annual Malcolm Arnold Festival, celebrating the life and works of the prolific Northampton-born composer, with a packed programme including a performance by the BBC Concert Orchestra and culminating in a grand Gala Concert. From Tchaikovsky favourites to film-score classics and the flag-waving anthems of the Last Night of the Proms, there should be something to suit all tastes in the new season. The season gets underway with the 10th Malcolm Arnold Festival which takes place from Saturday 17 to Sunday 18 October, with a whole weekend of performances, talks and events. This year the festival features two evening performances, including a very special concert from the BBC Concert Orchestra with the great pianist Peter Donohoe as soloist, in a programme including Arnold’s Philharmonic Concerto and 7th Symphony. The festival culminates in a spectacular Gala Concert – Reaching Across the Globe – on the evening of Sunday 18 October, with the theme A Gesture of Friendship. The Worthing Symphony Orchestra will be conducted by John Gibbons, in a programme which includes Arnold’s Commonwealth Festival Overture, Dvorak’s New World Symphony, Arnold’s Saxophone Concerto played by winner of the Walter Todds award Jess Gillam, and Gershwin’s Rhapsody in Blue performed by BBC Young Musician of the Year Martin James Bartlett. The first of the performances from the Royal Philharmonic Orchestra in the new season is ‘From Paris to New York’, conducted by the RPO’s Principal Associate Conductor Alexander Shelley, on Sunday 8 November. The composers featured in this concert were inspired by these two great cities, and are among the most celebrated of the 20th century. With pieces ranging from Prokofiev’s fiendishly difficult Piano Concerto No.3 to Gershwin’s An American in Paris and Bernstein’s Symphonic Dances from West Side Story, the programme balances driving intensity with the jazz influences for which these cities are known. On Sunday 21 February, conductor Alan Buribayev leads the Orchestra for the tale of One Thousand and One Nights in Rimsky-Korsakov’s colourful epic, Scheherazade. The concert is opened by one of Wagner’s most searingly dramatic creations, The Flying Dutchman Overture, while outstanding violinist Anna-Liisa Bezrodny performs Tchaikovsky’s thrilling Violin Concerto, considered to be one of the most technically difficult works for the violin. On Saturday 2 April, audiences have the rare opportunity to hear the RPO conducted by its Artistic Director, Charles Dutoit, one of the world’s most sought-after conductors. An evening of outstanding pieces includes Dvorak’s Cello Concerto, which changed the musical world’s perception of the cello as a solo instrument, performed tonight by audience favourite Gautier Capucon. The programme also includes Dvorak’s lyrical and lush Symphony No.9, ‘From the New World’, inspired by the ‘wide open spaces’ he saw in America (and made universally famous by the iconic Hovis TV commercial). The season continues with Alexandra Dariescu Performs Rachmaninov, on Sunday 15 May, when Fabien Gabel takes up the baton for an evening of classical masterpieces. The legend that the violin virtuoso Paganini sold his soul to the devil has inspired numerous composers, but the finest of these pieces is Rachmaninov’s Rhapsody on a Theme of Paganini, which will be performed by the supremely talented pianist Dariescu. The programme also includes Humperdinck’s dreamy Hansel and Gretel Overture, and closes with one of the most instantly recognisable pieces of music ever, Beethoven’s Symphony No.5. A highlight of the season will be The Planets: An HD Odyssey, taking place on Sunday 26 June. Audiences will watch in awe as Holst’s beautiful and mystifying suite The Planets is performed, while a film created in collaboration with NASA and award-winning producer/director Duncan Copp is shown on a 24-feet screen above the stage. This exciting multi-sensory event is preceded by outstanding pieces of classical music that are synonymous with outer space, including Strauss II’s Blue Danube Waltz, featured in 2001: A Space Odyssey, and John Williams’ iconic Star Wars Theme. In an apt finale to the season, Northampton audiences can kick-start their summer with the ultimate British spectacular, The Last Night of the Derngate Proms on Sunday 17 July. Under the baton of John Rigby, this musical extravaganza will be full of pomp and circumstance, celebrating the best of British music, plus many more well-loved classical masterpieces, popular arias and Proms favourites. The programme includes Elgar’s Pomp and Circumstance March No.4, Rule, Britannia, Jerusalem, Tchaikovsky’s Sleeping Beauty Waltz and many more. Soprano Deborah Norman leads the singing. Prior to selected concerts in the season, BBC Radio Northampton’s John Griff will be leading pre-show discussions with soloists or conductors, giving audiences the opportunity to gain greater insight into the performances and repertoire. There will also be a series of creative projects and family workshops running alongside the Orchestral Season, designed to develop and inspire young musicians of all ages and their families. As ever, audiences for Royal & Derngate’s Orchestral Season can make substantial savings, and secure the best seats, by taking advantage of the subscription scheme and booking for at least four concerts in one go. Subscription forms can be downloaded now from the theatre’s website. Following a triumphant performance of The Armed Man (Karl Jenkins) in 2012, English Philharmonia and Chorus (the Choral Societies of Chorleywood and Berkhamsted) return to Watford Colosseum on Saturday 10 May with another exciting programme. Carl Orff’s dramatic and engaging Carmina Burana is both popular and instantly recognisable (think ‘Old Spice’ or ‘The X-Factor’) and shares top billing with George Gershwin’s thrilling and well-loved Rhapsody in Blue, for piano and jazz band. Adding pizazz to the evening is the world premiere of a new jazz piece, The Seasons, by Sebastian Weiss, commissioned by the choirs especially for this concert. Carl Orff described his composition as “secular songs for soloists and choruses, accompanied by instruments and magic images” and his setting of 24 poems by 13th Century German monks describes everything from religious devotion to lust and gluttony. A stunning performance of the work is promised by an orchestra of 70 professional musicians led by Matthew Scrivener, professional soloists Gail Pearson (soprano), David Burrows (tenor) and Dyfed Wyn Evans (baritone), a chorus of 180 singers and a choir from the Aldro School for Boys (Godalming) all under the baton of conductor, Graham Wili. Gershwin scored a triumphant success with his 1924 musical composition Rhapsody in Blue, combining elements of classical music with jazz-influenced effects. Ever popular today, it is hailed as one of the most important American musical works of the 20th century. A highlight of the piece will be the solo by accomplished pianist, Fei Ren. Completing the programme is The Seasons by Sebastian Weiss, featuring four poems, Spring (William Blake), Dusk in June and Snow Song (Sara Teasdale) and Autumn Song (Dante Gabriel Rosetti) which represent the endless cycle of life. This piece for choir with accompaniment by orchestra and jazz quartet showcases a style that is becoming increasingly popular with choral singers. The choirs feel honoured to have the composer himself playing the piano for this first performance of the work. Following the resounding success of the two classical operas brought to the Gordon Craig Theatre in February, something for people who like their opera with a bit of a ‘twist’, the classical crossover group Tenors Un Limited takes to the stage on Thursday 6th March. Tenors Un Limited, ‘the Rat Pack of Opera’, are excited to bring their newest touring show to audiences across the country, which is quite simply the best of the genre and the guys at their best. Scott, Paul and Jem have firmly established themselves as one of the world’s premier classical crossover groups with their clever combination of opera classics and modern day favourites. The eclectic mix of repertoire coupled with stunning vocal harmony makes up a show unlike any other – full of passion, humour and a love for what they do.Tenors Un Limited have entertained audiences across the globe including tours of the US, Australia and up and down the UK. You may have heard them on BBC Radio 2’s iconic Friday night is Music Night, seen them at the 2011 FA Cup Final, the Queen’s Diamond Jubilee tour (Richmond Park) or perhaps at one of their concerts. Whether your favourite song is ‘Nessun Dorma’, ‘Come What May’, ‘O Sole Mio’, ‘You Raise Me Up’, ‘Can’t Take My Eyes Off You’ or ‘Time to Say Goodbye’, there is sure to be something for everyone. Tenors Un Limited take to the Gordon Craig stage on Thursday 6th March. Amadeus Chamber Orchestra performing music by Haydn, Mozart and Frank Bridge. Saturday 25th.January 7.30 at St.Peter’s Church, St.Albans…..
St. Albans Chamber Opera Valentine’s Quiz Night and Fish & Chips Supper. On Friday 14 February 8.00 at St.Stephens’ Church Hall, St.Albans. .
Amadeus Chamber Orchestra are giving a concert at 7.30 on Saturday 28 September at St.Saviour’s Church, Sandpit Lane, St.Albans. 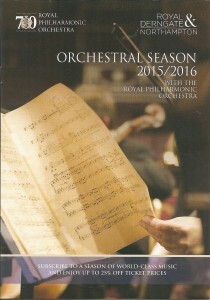 Royal & Derngate’s 2013/2014 Orchestral Season, features six concerts by its Resident Orchestra, the Royal Philharmonic Orchestra, with renowned soloists such as classical guitarist John Williams and celebrated pianist John Lill. This autumn also sees the eighth annual Malcolm Arnold Festival, celebrating the music of the prolific Northampton-born composer, a whole weekend of events culminating in a gala concert featuring acclaimed young British clarinettist Julian Bliss. Customers booking for four or more concerts can make significant savings and with new, improved subscription packages it is now possible to save up to 20% if booking for all seven concerts in the season. The season gets underway with this year’s Malcolm Arnold Festival which takes place from Saturday 19 to Sunday 20 October, with a whole weekend of concerts, talks and events, culminating in a spectacular Gala Concert – Movie Classics – on the evening of Sunday 20 October. The Worthing Symphony Orchestra, performing as the Malcolm Arnold Festival Orchestra, will be conducted by John Gibbons, in a programme which features clarinettist Julian Bliss performing Arnold‘s Clarinet Concerto No.2. The concert also includes film music by Malcolm Arnold from The Inn Of The Sixth Happiness and You Know What Sailors Are, along with music from Pirates Of The Caribbean by Badelt and Out Of Africa by Barry, and other classical favourites such as Ravel’s Bolero and Rimsky-Korsakov’s Flight Of The Bumblebee. The first of the concerts from the Royal Philharmonic Orchestra in the new season is the spectacular Tchaikovksy Gala, on Sunday 17 November, paying tribute the well-loved Russian composer with a programme that ranges from his sunny Capriccio Italien to the romantic Romeo And Juliet Fantasy Overture and Sleeping Beauty Waltz, all rounded off with the rousing 1812 Overture. Conducted by Barry Wordsworth, the concert also includes Tchaikovsky’s immortal Piano Concerto No.1, featuring soloist Peter Donohoe. On Sunday 16 February audiences can enjoy the Mozart Requiem, an intense and dramatic work considered to be a masterpiece. This evening of stirring music opens with BBC Music Magazine’s ‘rising star’ Alexandra Dariescu performing Mozart’s popular Piano Concerto No.21. For the Requiem itself, the Royal Philharmonic Orchestra are joined by Northampton Bach Choir and the men and boys from Northampton’s All Saints Church Choir, under the baton of Renato Balsadonna, the Chorus Master of the Royal Opera House. Royal & Derngate is also hosting a concert in celebration of the 70th birthday of John Lill, the acclaimed British pianist, when John will be performing Rachmaninov’s passionate Piano Concerto No.3. The concert opens with Mendelssohn’s evocative Hebrides Overture, and concludes with Dvorak’s exuberant Eighth Symphony, which draws its inspiration from Bohemian folk music. Conductor Thomas Dausgaard is at the helm for John Lill’s 70th Birthday Celebrations on Sunday 16 March. An Evening of Classical Masterpieces features virtuosic violinist Chloe Hanslip, performing Bruch’s Violin Concerto, one of the most popular in the genre, with its romantic melodies and lively themes. The concert also includes Schubert’s Unfinished Symphony and Elgar’s glorious and much-loved ‘Enigma’ Variations. Nicholas Collon wields the baton for this delightful programme on Sunday 4 May. In a concert entitled John Williams Performs Rodrigo’s Concierto de Aranjuez, on Sunday 8 June, audiences have the opportunity to hear the most celebrated classical guitarist in the world playing what is surely the most popular guitar concerto in the world. The evening also features the new Guitar Concerto by Stephen Goss, a work championed by John Williams and premiered by the RPO at Royal & Derngate in 2012. Alexander Shelley makes a welcome return as conductor for this concert which also includes Elgar’s In The South and Gershwin’s An American In Paris. Northampton audiences can celebrate the joys of summer with a medley of musical fun and frolics when the Northampton Bach Choir join the RPO for the Last Night of the Derngate Proms on Sunday 13 July (2014), bringing the Orchestral Season 2013/2014 to a close. Under the baton of Owen Arwel Hughes, this concert features a programme of glittering orchestral gems and choral classics, including Rossini’s galloping William Tell Overture, Elgar’s Pomp and Circumstance March No.4, the Hallelujah Chorus from The Messiah, Rule, Britannia, Jerusalem and many more. Special guest, pianist Danny Driver will also perform Rachmaninov’s irresistible Rhapsody On A Theme Of Paganini. As ever, audiences for Royal & Derngate’s Orchestral Season can make substantial savings, and secure the best seats, by taking advantage of the subscription scheme. Prior to many of the concerts in the season BBC Radio Northampton’s John Griff will be leading pre-show discussions with soloists or conductors, giving audiences the opportunity to gain greater insight into the performances and repertoire. There will also be a series of creative projects running alongside the Orchestral Season, designed to develop and inspire young musicians of all ages and their families. As a fitting finale to Royal & Derngate’s 2012/2013 Orchestral Season, the Royal Philharmonic Orchestra is joined by Northampton Bach Choir to present an evening of Proms anthems and flag-waving favourites, in a Last Night Of The Derngate Proms concert on Sunday 16 June. Audiences are invited to celebrate the joys of summer as the Royal Philharmonic Orchestra brings a programme of glittering orchestral gems and choral classics to delight all tastes, from Puccini’s rousing Nessun Dorma from Turandot, and the celebratory Hallelujah Chorus from Handel’s Messiah to Sibelius’ Finlandia and Tchaikovsky’s memorable Waltz of the Flowers from The Nutcracker. 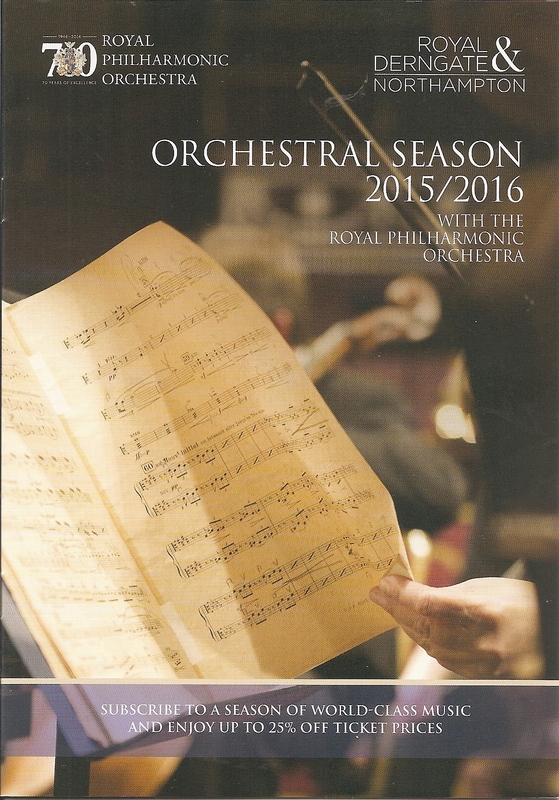 Proms favourites Rule, Britannia!, Jerusalem and Elgar’s Pomp and Circumstance March No.1 will also be on the bill. Tenor soloist John Hudson joins the Orchestra and local singers of the Northampton Bach Choir, and under the baton of celebrated conductor Nick Davies this concert is sure to bring the season to a glorious finale. The Royal Philharmonic Orchestra takes to the Derngate stage for the Last Night Of The Derngate Proms at 7.30pm on Sunday 16 June. Box Office: 01604 624811 or online: www.royalandderngate.co.uk. Earlier the same day (Sunday 16 June), there is the opportunity for children to enjoy an Opera-tastic workshop with their families, joining members of the RPO for a musical journey of discovery. A session for 2 to 5 years olds runs from 11.30am to 12.30pm, with a session aimed at 6 to 13 year olds following at 1pm. Tickets are just £2.50 per child. Places are limited so advance booking is recommended. Elgar’s epic Violin Concerto was composed for the celebrated Viennese virtuoso Fritz Kreisler, who shortly before giving the 1910 world première in London vowed “I will shake the Queen’s Hall!” He obviously had the desired effect as according to one reviewer, “for a quarter of an hour they called and recalled the man [Elgar] who had achieved a triumph not only for himself, but also for England, and hailed him as master and hero.” Elgar’s own opinion was that “It’s good! Awfully emotional! Too emotional…but I love it.” Beethoven’s passion was for the countryside. “You ask me where my ideas come from” he once noted, “they come to me in the open air, in the woods, while walking, in the silence of the night, early in the morning”. The Pastoral Symphony, with its unambiguously bucolic movement titles, is the composer’s attempt to set these sounds and scenes in notes on paper. Philharmonia Orchestra at the Bedford Corn Exchange on Sunday 16th June. As a former winner of the BBC Young Musician of the Year competition, and following her spellbinding performance at the Last Night of the 2012 BBC Proms, violinist Nicola Benedetti needs absolutely no introduction. Aylesbury Waterside Theatre is delighted that she is joining Oxford Philomusica to perform Shostakovich’s Violin Concerto at Aylesbury Waterside Theatre, the Orchestra’s associate venue. The Philomusica’s outstanding players will also showcase symphonic suites by two other great Russian composers: Prokofiev’s Lieutenant Kijé and Stravinsky’s thrilling Firebird – the work that made the composer a star when he wrote it for the legendary Ballet Russes Company in 1910. Andrew Blankfield is a pianist, conductor, singer and solicitor, although generally not in that order. For over 25 years he has combined a career as a lawyer in the City of London with a variety of musical pursuits, including a long period as musical director of the London Lawyers’ Symphony Orchestra and Chorus. As a pianist, he plays in various chamber ensembles and grapples with the ever more complicated accompaniments for his cello and violin playing daughters. His previous concerto performances include Schumann, Beethoven 2 nd and 3 rd and Mozart K.488 as well as the two piano concerto K.365. Andrew is a trustee and former chairman of Spitalfields Music, known for its summer and winter festivals and award-winning learning and participation programme. He is honorary legal adviser to the British Arts Festivals Association. Andrew has lived in St Albans for 20 years. Alexander Shelley Conducts Scheherazade at Royal & Derngate on Sunday 14 April at 7.30pm, with tickets priced from £32.50 to £14, and a family ticket £68. There is a free pre-concert talk with Alexander Shelley and pianist Peter Jablonski at 6.30pm. Box Office: 01604 624811, or online: www.royalandderngate.co.uk. Renowned pianist Peter Donohoe, acclaimed as one of the foremost pianists of our time for his musicianship, stylistic versatility and commanding technique, performs Grieg’s Piano Concerto in A minor. Its staggering success may best be attributed to its lyricism, sense of drama and highly effective piano part. This programme also features Mendelssohn’s well-loved and atmospheric evocation of Fingal’s Cave and Sibelius’ popular Symphony No.2, inspired by his Finnish homeland and full of romantic melodies and electrifying thrust. Following the success of an evening of Beat Era poetry last month, the Swan Theatre Company, in conjunction with the Eagle Bookshop and Gallery, present the second in a series of poetry evenings – and this time the theme is “The Mad Hatter’s Tea Party”. The poetry evenings start at 7.30pm at the Eagle Gallery, 101 Castle Road, Bedford. Refreshments will be available. Tickets cost £5 and can either be purchased online at www.theplacebedford.org.uk/tickets or at the door on the night. Stage Write is a collaboration between Bedfordshire based companies LifeBox Theatre and No Loss Productions, presenting a series of rehearsed-reading-style performances of brand new plays by emerging writers from the area. 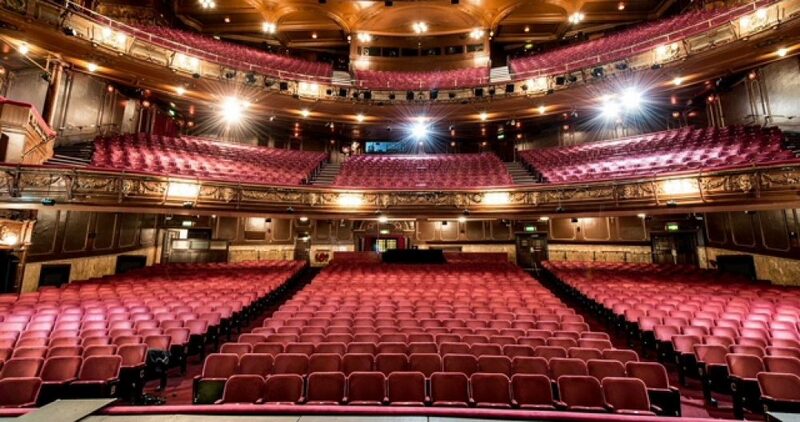 Each night will see 2 different plays – of typically 45 minutes length – performed by professional actors, the audience having the opportunity to ask questions and offer comments, and the writers able to investigate audience reactions and receive feedback about particular aspects of their work. This is an exciting opportunity for Bedfordshire audiences to be involved in the new writing process and offer feedback to emerging writers. Onyx Brass at The Stables Theatre, Tuesday 19th February. 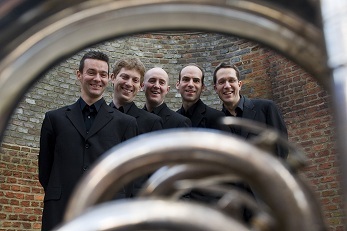 Onyx Brass has dominated the international brass chamber music scene for the last eighteen years with its serious yet approachable programmes. They strongly believe in commissioned new music, performing and recording world premieres by Bob Chilcott, John Tavener, John McCabe and Judith Bingham. Onyx Brass’s programme takes us on an eclectic tour of the countries and composers who have contributed to our rich history of brass ensemble music over the centuries. Onyx Brass are in fact Amos Millar (trombone), Niall Keatley (trumpet), Brian Thomson (trumpet), Andrew Sutton (horn) and David Gordon-Shute (tuba). Onyx Brass at The Stables, Wavendon on 19th February at 8pm. The Fourth Symphony was for many, including Tchaikovsky, a breakthrough. Here, Tchaikovsky is in total control of the orchestral palette, with highly original colours – including an almost entirely pizzicato third movement. Woven into the entire work is the ‘fate’ motif, spelled out in the first movement, subsequently developed, and by the finale it is violently thrown around the orchestra in a torrent of enthusiasm. It is the composer’s most exciting symphonic invention. Before this, the best-known of Shostakovich’s two piano concertos. Written for his son’s 19th birthday, who later premièred the work, its highlight is its exquisite slow movement – more-than-slightly Romantic in style. The Philharmonia Orchestra performing at the Bedford Corn Exchange on Friday, 15th February. Leighton Buzzard Music open their new year of concerts with two world famous artists in duo. Richard Jenkinson is one of the country’s very finest cellists and apart from his chamber music career is principal cellist of the renowned City of Birmingham Symphony Orchestra. 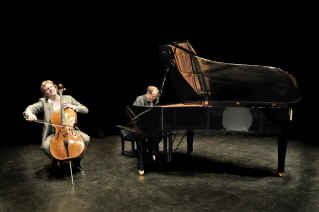 Pianist Benjamin Frith is acclaimed as a chamber musician of the front rank and the Duo is known throughout the UK and beyond through their frequent broadcasts and recordings. At Leighton Theatre they will play a wonderful programme of Russian masterpieces, including the major sonatas of Rachmaninov and Shostakovich, as well as works by Stravinsky and Glazunov. The Jenkinson Frith Duo at the Leighton Buzzard Theatre, Sat 26th Jan. The Royal & Derngate Sunday 27th Jan.
French conductor Fabien Gabel makes his Northampton début to present a programme featuring three of the Romantic era’s most distinguished composers. Brahms’ darkly powerful Tragic Overture introduces Chopin’s Piano Concerto No.2. Performed by Janina Fialkowska, a pianist renowned for her brilliant interpretations of the Romantic repertoire, it is a work of variety, containing lyrical melodies, elaborate ornamentation and Polish folk music influences. Finally, the glorious musical landscape of Beethoven’s ‘Pastoral’ Symphony, its popular ‘storm’ movement surrounded by music of sunny grace and rustic charm. Janina Fialkowska plays Chopin at The Royal & Derngate Sunday 27th Jan. The Philharmonia Orchestra, conducted by Santtu-Matias Rouvali with very special guest Alison Balsom (trumpet) will be performing Beethoven’s Symphony No 2, Hummel’s Trumpet Concerto and Symphony in C by Bizet at The Bedford Corn Exchange on Wednesday 16th January. Amadeus Chamber Orchestra St Peter’s Church, St Albans 26th January. Simon Thompson conducts Amadeus Chamber Orchestra (leader Jennifer Wigram) in an evening of music by Boyce, J.S, Bach, Vivaldi, Albinoni and Handel. The soloists include Ellie Fagg (violin), Sara Devonald (oboe & recorder), Hannah Grant (oboe), Colin Beak (bassoon) and Jared Bennett (recorder).